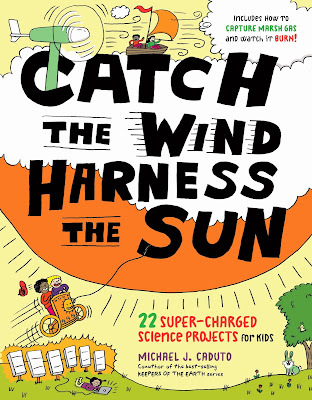 Chock full of fun hands-on activities for kids, Catch the Wind Harness the Sun by Michael J. Caduto is a wonderful supplement to our science studies. My kids enjoy science and nature study, and their favorite parts are getting to do experiments and project themselves, as well as being outside. This book combines both with twenty-two projects, complete with step-by-step photos, complete supplies lists, and easy to follow instructions. Plus, there are extras like background history, stories, fill-out notebook pages, and follow-up points. There are plenty of activities in Catch the Wind Harness the Sun to do both indoors and outside, so we are able to find something we can do no matter the weather. In fact, some of the activities are geared toward certain types of weather so you can take advantage of sunny, windy, or even chilly days. All of the activities in Catch the Wind Harness the Sun are designed to complement and build on each other to prompt kids to become better stewards of our planet. The kid-friendly design of this book, plus the wealth of information it contains make it a valuable resource that builds enthusiasm for learning.